This is a summary to go with this post. We're the economic envy of the world...congress wastes money on earmarks....your checks are in the mail...y'all aren't reading the letters we sent offering mortgage counselling. What's that guy's name...you know, the king of Saudi??? There’s a lot of tiny print in those mortgage agreements. It's kinda scary for folks. The president of the American Stock Exchange reacts to Bush's speech on the economy. “You’ve helped make our country really in many ways the economic envy of the world,” he told the Economic Club of New York. You could almost see the thought-bubble forming over the audience: Not this week, kiddo. The president squinched his face and bit his lip and seemed too antsy to stand still. As he searched for the name of King Abdullah of Saudi Arabia (“the king, uh, the king of Saudi”) and made guy-fun of one of the questioners (“Who picked Gigot?”), you had to wonder what the international financial community makes of a country whose president could show up to talk economics in the middle of a liquidity crisis and kind of flop around the stage as if he was emcee at the Iowa Republican Pig Roast. We’re really past expecting anything much, but in times of crisis you would like to at least believe your leader has the capacity to pretend he’s in control. Suddenly, I recalled a day long ago when my husband worked for a struggling paper full of worried employees and the publisher walked into the newsroom wearing a gorilla suit. The country that elected George Bush — sort of — because he seemed like he’d be more fun to have a beer with than Al Gore or John Kerry is really getting its comeuppance. Our credit markets are foundering, and all we’ve got is a guy who looks like he’s ready to kick back and start the weekend. This is not the first time Bush’s attempts to calm our fears redoubled our nightmares. His first speech after 9/11 — that two-minute job on the Air Force base — was so stilted that the entire country felt like heading for the nearest fallout shelter. After Katrina, of course, it took forever to pry him out of Crawford, and then he more or less read a laundry list of Goods Being Shipped to the Flood Zone and delivered some brief assurances that things would work out. Bush pointed out — as if the entire economic world didn’t already know — that Congress has already passed an economic incentive package that will send tax rebate checks to more than 130 million households. “A lot of them are a little skeptical about this ‘checks in the mail’ stuff,” he jibed. Jokejoke. Winkwink. Once the markets had that really, really clear, Bush felt free to go on to the other things he was for, which very much resembled that laundry list for Katrina (“400 trucks containing 5.4 million Meals Ready to Eat — or M.R.E.’s ... 3.4 million pounds of ice ...”) This time the rundown included a six-month-old F.H.A. refinancing program, and an industry group called Hope Now that offers advice to people with mortgage problems. But wait — more positive news! The secretary of Housing and Urban Development is proposing that lenders supply an easy-to-read summary with mortgage agreements. “You know, these mortgages can be pretty frightening to people. I mean, there’s a lot of tiny print,” the president said. Really, if he can’t fix the economy, the least he could do is rehearse the speech. 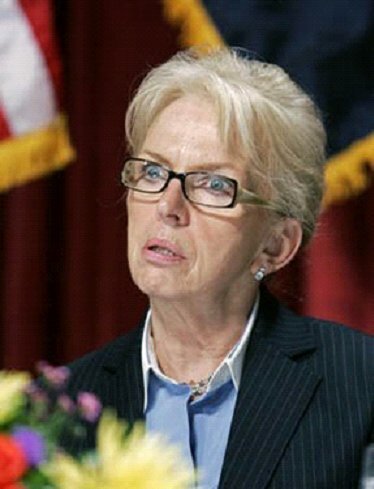 That picture of the president of the American Stock Exchange is precious - totally dumbfounded, the look/expression after having seen an absolute jerk. Watching bu$h speak is like visiting a day care center for little kids. You'll find a class bully, a class clown, and the class idiot. Thing is bu$h is all of these rolled up in to one. Is it January 2009 yet ????? Good stuff and thanks for posting it here. I wish I could spend more time at this excellent site. Perhaps in the future I'll be able to do so. LOL @ "Watching bu$h speak is like visiting a day care center for little kids. You'll find a class bully, a class clown, and the class idiot. Thing is bu$h is all of these rolled up in to one." I'm almost afraid to ask, i can only imagine "what's next" and suspecting how little the president actually matters, I don't think it will change much, sadly for us and the world.